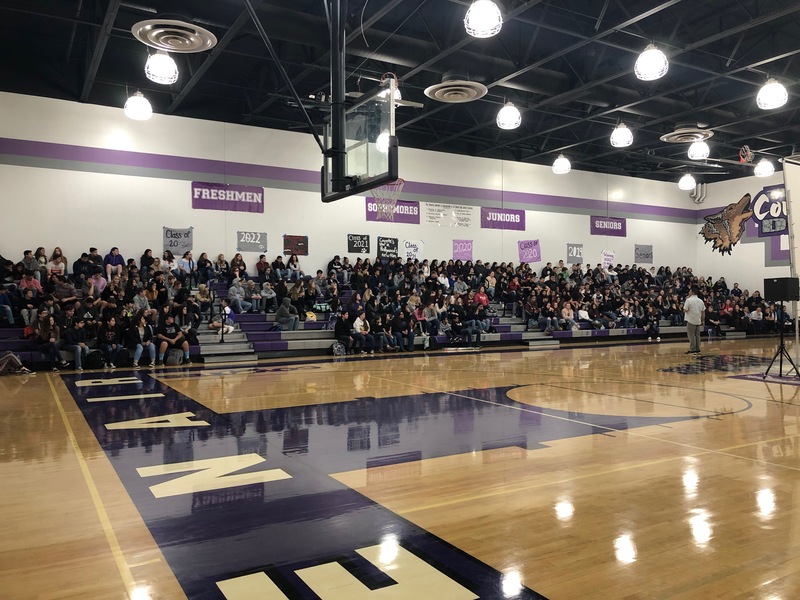 If they didn’t know it already, Denair High students are being reminded this week of the evils of e-cigarettes, vaping, JUUL pins, and other tobacco-related products. It’s a coordinated effort involving the school’s PHAST (Protecting Health and Slamming Tobacco) Club and the Stanislaus County Office of Education. 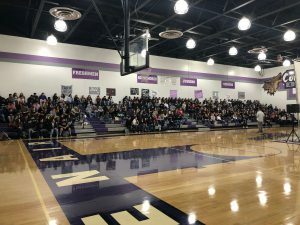 The series of information-related activities and events was highlighted Wednesday with a powerful presentation in the Denair gym by the father-daughter team of Ray and Brooke Lozano, who crisscross the country warning students about the dangers of tobacco and alcohol use. Denair High has a strict anti-tobacco policy. Any student caught with cigarettes, e-cigs, vaping devices or a JUUL pin (which looks like a flash drive) face suspensions of one to three days. Treadwell estimated there already have been eight instances involving boys and girls this school year – up from only two last year. With that in mind, SCOE helped bring the Lozanos to Stanislaus County, where they put on presentations all week at various schools. “Ray’s a really fun guy. The kids really pay attention to him,” Treadwell said. One JUUL pod contains the equivalent of 20 cigarettes, a whole pack. That’s one reason JUUL pins are banned in the European Union. Treadwell and the 22 members of Denair’s PHAST Club have spent much of this week sharing those and other dire warnings about e-cigs, vaping and JUUL pins. She believes that effort – coupled with the Lozanos’ presentation – will make a long-term difference. The PHAST Club will be making anti-tobacco presentations in the coming weeks to students at Denair Middle School as well as Denair Elementary Charter Academy. DoSomething.org’s Escape the Vape guide.